The Peace Dollar painting will be in the show, SIMILITUDE The Contemporary Portrait at Manifest Gallery (in the main gallery and drawing room) opening tonight. The show will go from Jan. 25th until Feb. 22nd. The shows, UTILITY Art that Functions, and SINKS AND CHAIRS will be running concurrently as well. A few of my paintings, (Mercury Dime, Parking Meter, and Wheat Pennies) will be included in the publication Manifest Exhibition Annual Season 10, which documents Manifest Gallery’s 10th season (2013-2014). The hardcover, 324 page book can be ordered from the Manifest Gallery website for $100. and proceeds go towards supporting the publication of future Exhibition Annuals, which feature artwork from artists all over the world. The Standing Liberty, Buffalo Nickel and Wheat Pennies paintings will be in the upcoming group show, 7 Deadly Sins, at the Atom Art Gallery in Ferndale, MI. The show opens Saturday, October 15th and will be up until December 3rd. The Wheat Pennies painting will be in the upcoming exhibition, Memory Palace: An International Exhibit Exploring Time, History and Memory, held at Manifest Gallery in Cincinnati, Ohio opening January 22 and ending February 19. There will be 14 works by 13 artists in the show. The Wheat Pennies, Mercury Dime and Parking Meter paintings will also be in the upcoming Manifest publication, INPA 6: A Juried Annual Publication of Works of Contemporary Painting. The publication will be out mid 2016. 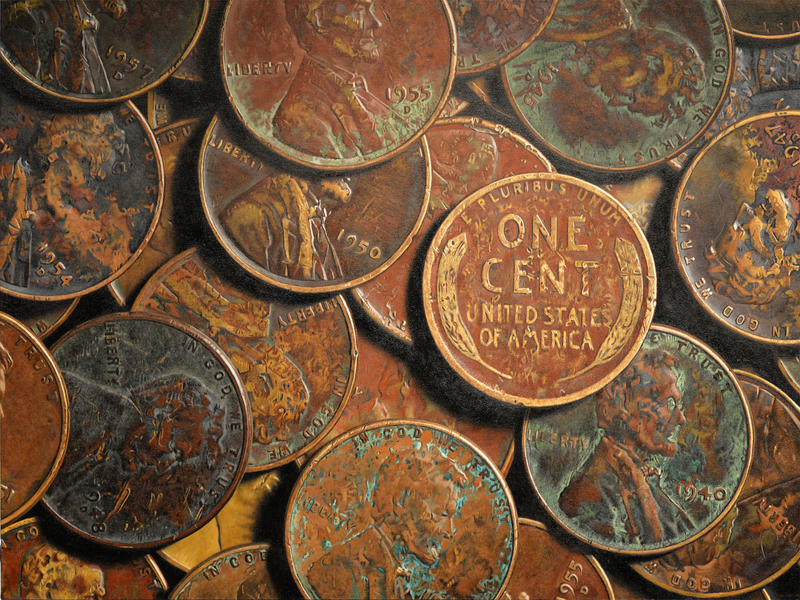 The Wheat Pennies painting will be in this year’s Michigan Fine Arts Competition held at the Birmingham Bloomfield Art Center in Birmingham, MI. The opening is on Friday, June 19th and the exhibition closes on Friday, Aug. 28th. 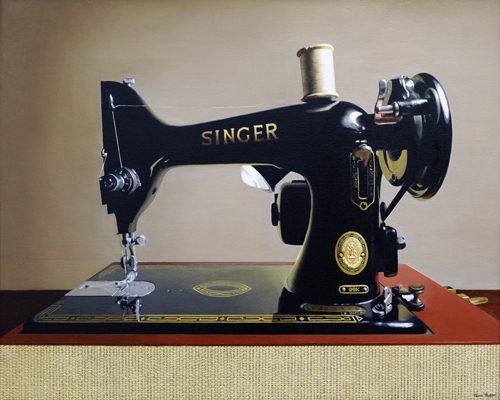 The Singer painting will be in a group show, Ovation, at Miller Gallery in Cincinnati from May 19th – June 5th. 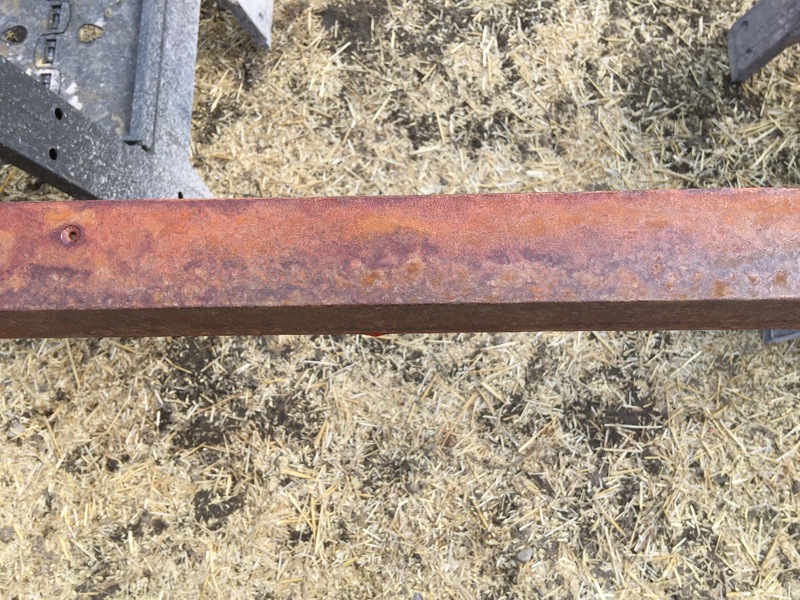 This will be the metal floating frame for the Wheat Pennies, I’ve been rusting it in the back yard, with the help of some vinegar, hydrogen peroxide and salt solution. I was going to use muriatic acid, but then I discovered a way to do it in a non toxic way. 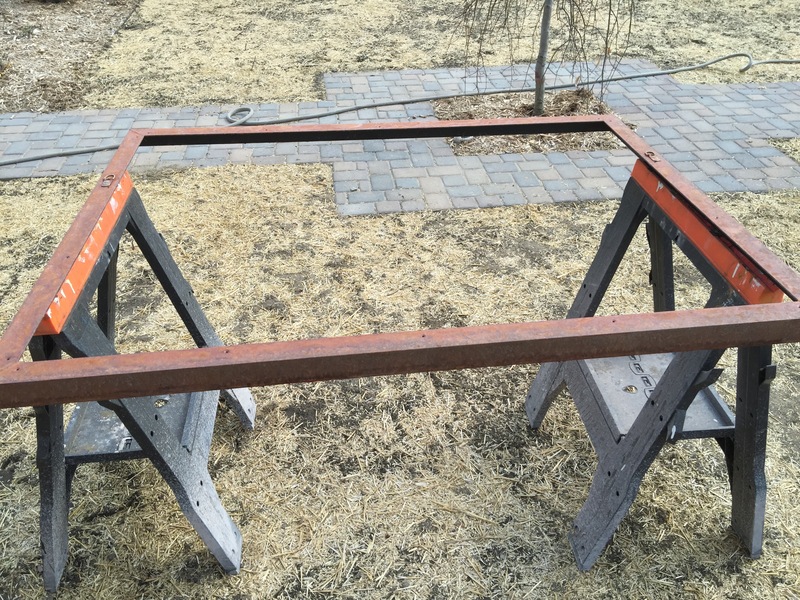 I think the rusted frame will look good with the pennies. Take a moment to look around the site. We will be updating the latest news and information on Tana Tapson and her art here, so come back often.